The Disability Discrimination Act 1995, designed to accommodate the access needs of disabled people, requires the owners of certain types of buildings to comply with the act by ensuring DDA audits are executed and alterations, where practical, are undertaken. A DDA access audit ensures that disabled people with hearing and sight impairment and/or other mobility challenges are taken into consideration. Our aim is to provide cost-effective advice for practical changes in those buildings that require a disabled access. 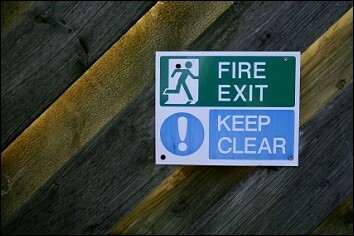 Conform with the Regulatory Reform Fire Safety Order 2005. The Regulatory Reform Fire Safety Order 2005 Act requires a fire risk assessment of certain buildings to ensure the safety of those within the building. Our team will offer a constructive and commonsense assessment, and produce cost-effective solutions to comply with the Act. Sometimes, all that is required is minor alterations to the layout of a building to improve safety in the event of a fire.